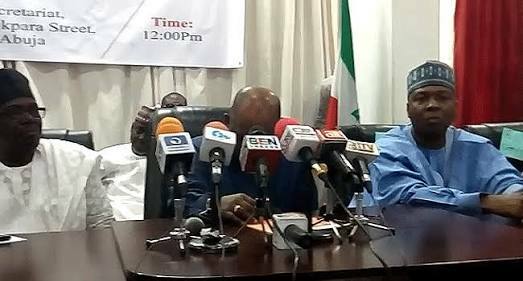 The leading opposition party, the Peoples Democratic Party (PDP), has on Friday called for the National Executive Committee, NEC, meeting to discuss serious issues. Top on the agenda is the venue for its convention. Recall that the convention was initially billed to hold on October 6 in Rivers state but was kicked against by some members of the party. Governor Nysome Wike of Rivers state was not happy with those that kicked against it. However, in its bid to find an acceptable place to hold its convention, the PDP through its BoT Chairman, Walid Jibrin summoned its National Executive Committee to discuss and finalize the venue for its national convention. The Board will arrive at a decision after the meeting.